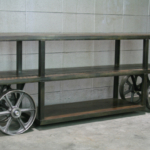 Combine 9 | Industrial Furniture – Industrial Cart/ Media Console / TV Stand. 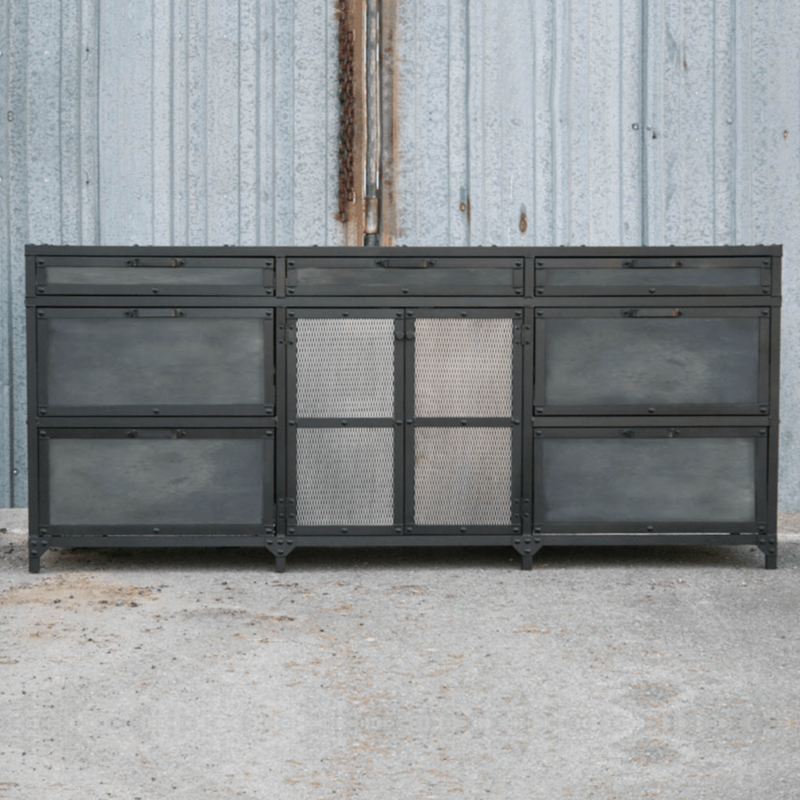 reclaimed wood, steel. Trolley. 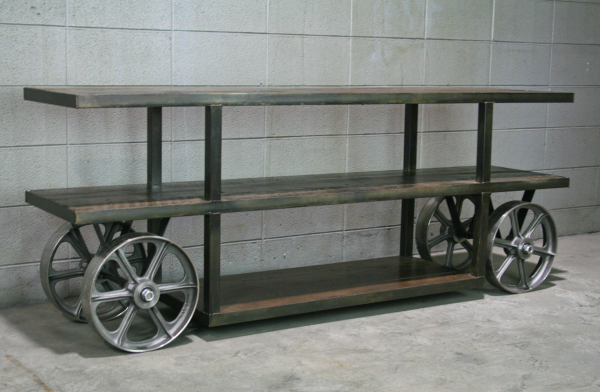 Industrial Cart/ Media Console / TV Stand. 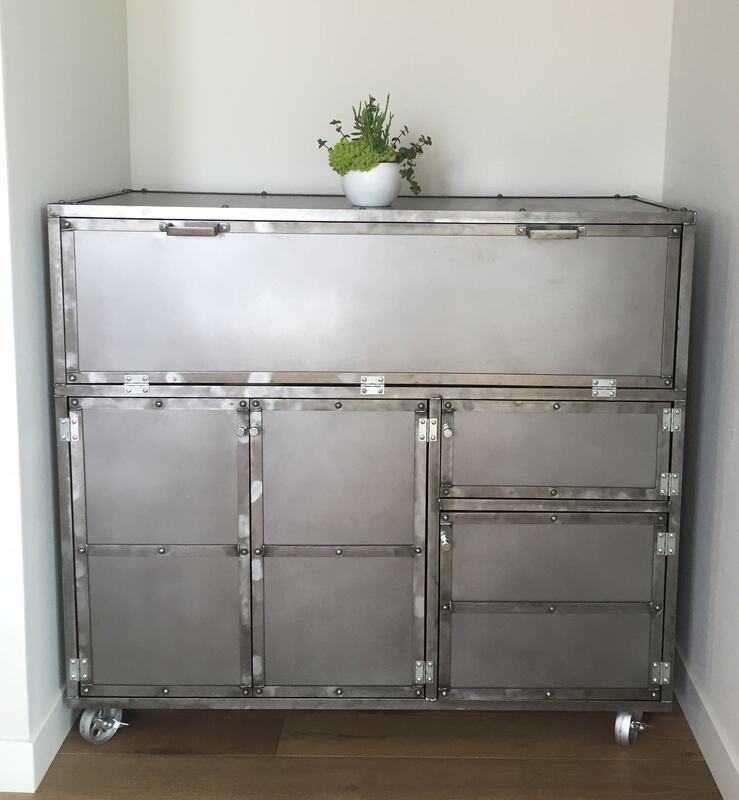 reclaimed wood, steel. Trolley. 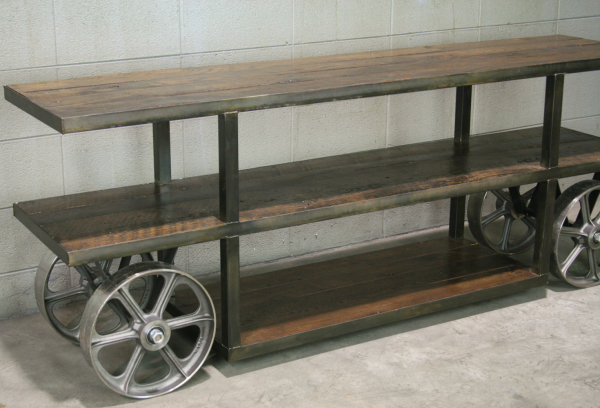 Need a cool, industrial cart, console table, or sofa table? Then, this might be a solution. 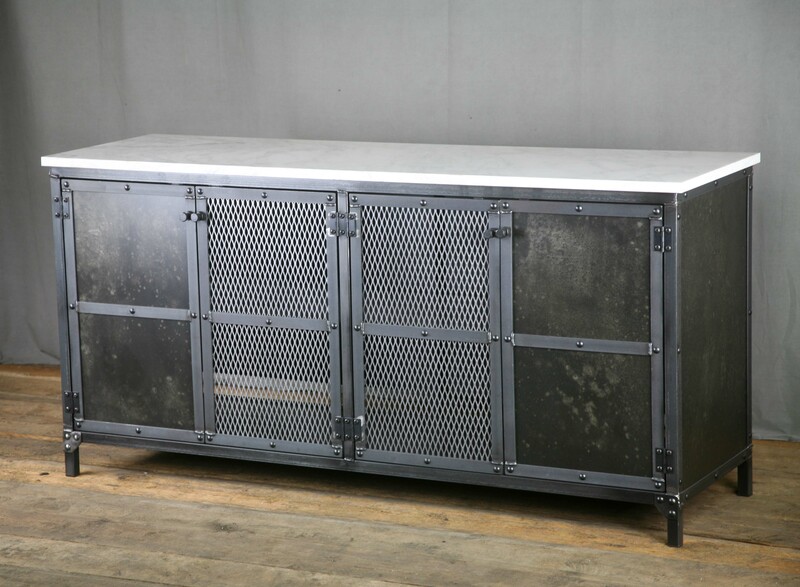 We can make it any size you’d like and in any configuration, but this listing is for one as pictured and it’s 76” W x 16” D x 30” high (email us for pricing for custom configuration.). 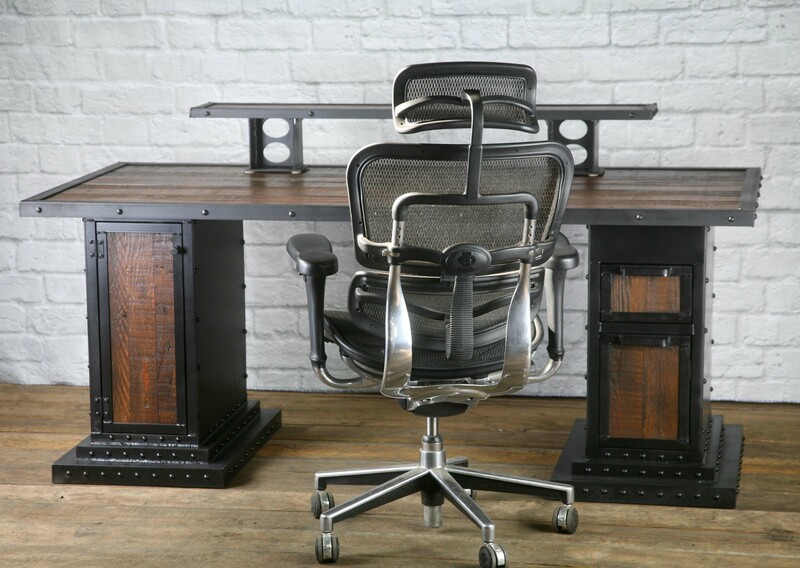 It is made of a beautiful reclaimed wood and we have several wood options available (we will always have a dark color, light color, and one in between –just let us know which one you like at check-out by including a note with your order). 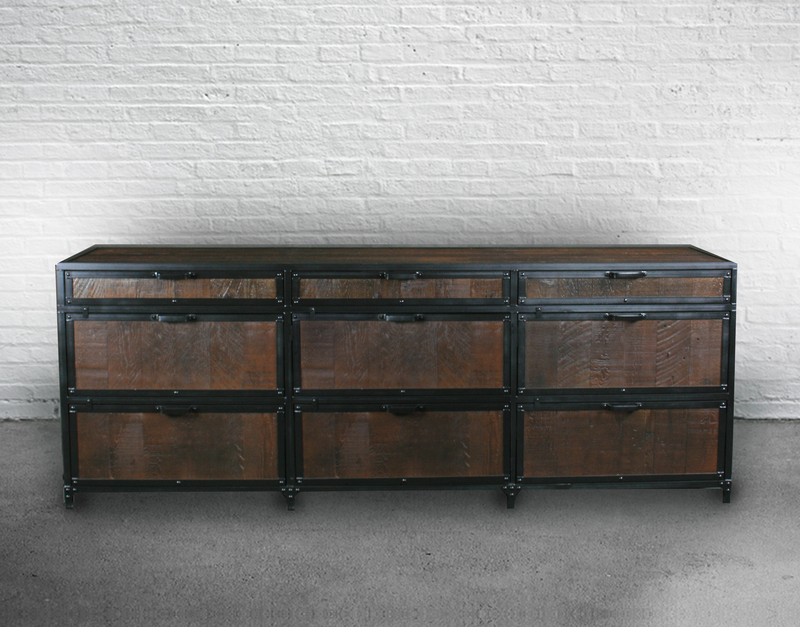 Changes can be made to the configuration such as using steel or a different wood. 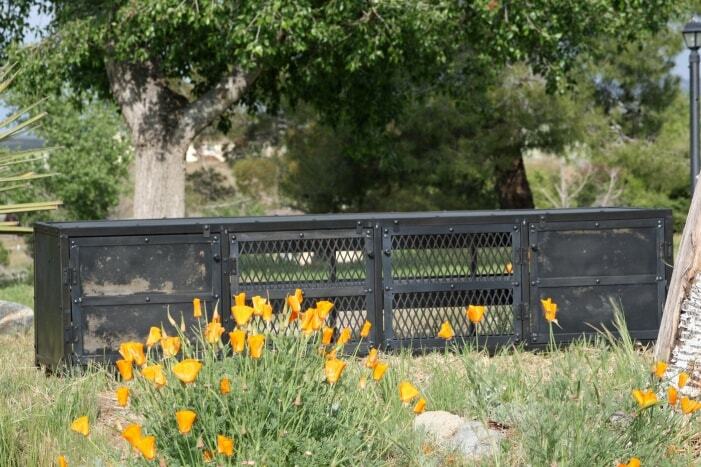 Some changes to the design can be done at no charge, while some may affect the price a bit. 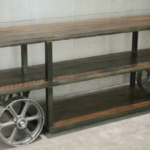 We create many other custom pieces in this and other styles, so, please contact us if you are looking for a coffee, end, or dining table, desk, or any other furniture. 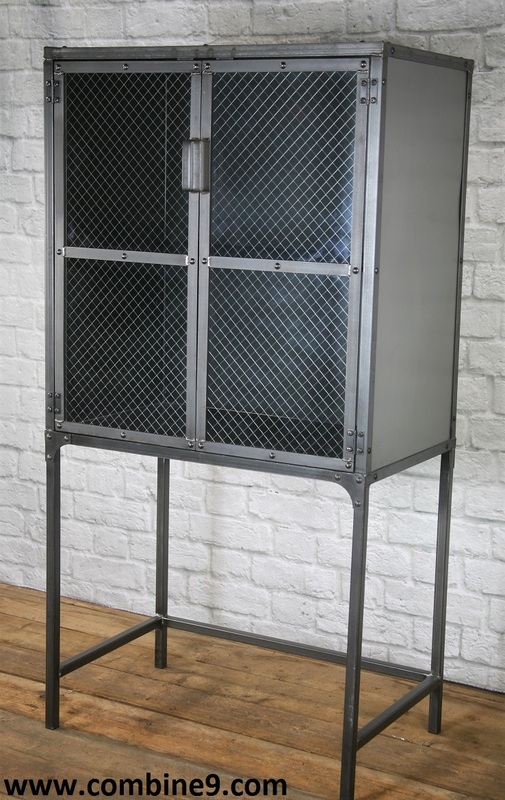 We would love to discuss how we can work together to design a unique piece to fit your needs. We make furniture for both residential and commercial applications, so if you are looking for furniture for an office, spa, salon, restaurant, bar, lounge, etc., don’t hesitate to contact us. Price for one as shown – $2,150.00. Please inquire for pricing on customizations.